Most durable finger protection goalie glove while offering some grip to build confidnce while playing. Heat treated latex designed for turf and indoor play. Extremely durable! Yes, 4 finger flexible spines for added protection and stability. Flexible PU backhand with mesh inserts for breathability and comfort. Flat palm cut with thumb notch and flex control. Full strap closure with velcro fasteners. 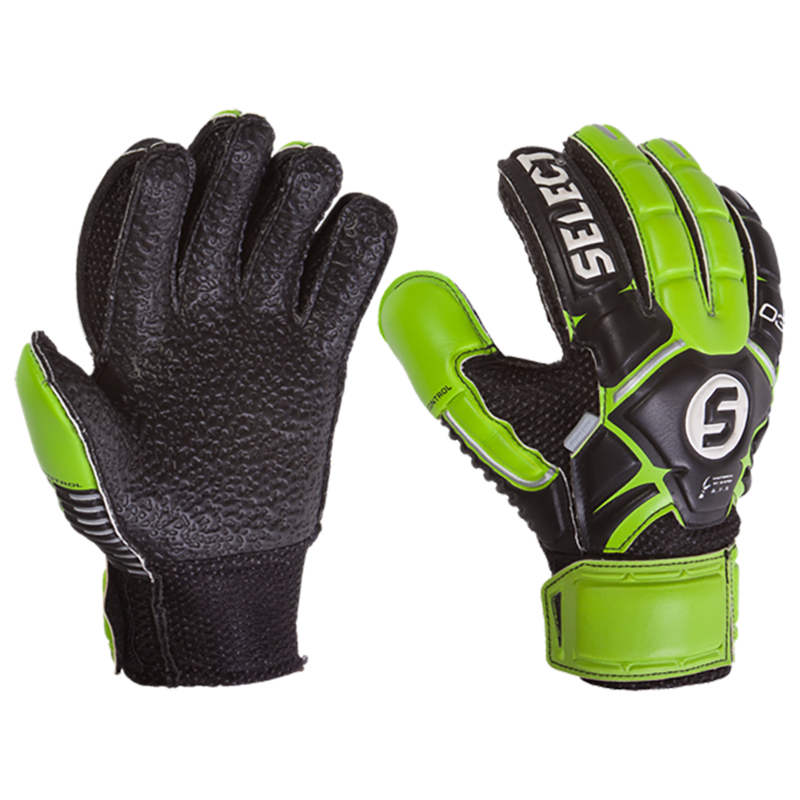 This glove features an easy open wrist banadge so the youth keeper can get the glove on and off with no issues. Youth goalkeepers who play on turf or indoor surfaces.